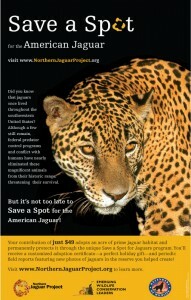 The EWCL “Team Jaguar” aimed to support the conservation of the U.S./Mexico borderlands jaguar population by launching the “Save A Spot” campaign in collaboration with project partner Northern Jaguar Project (NJP) to help the organization raise funds to acquire and restore an important tract of habitat in northern Mexico and set up a new Northern Jaguar Reserve. 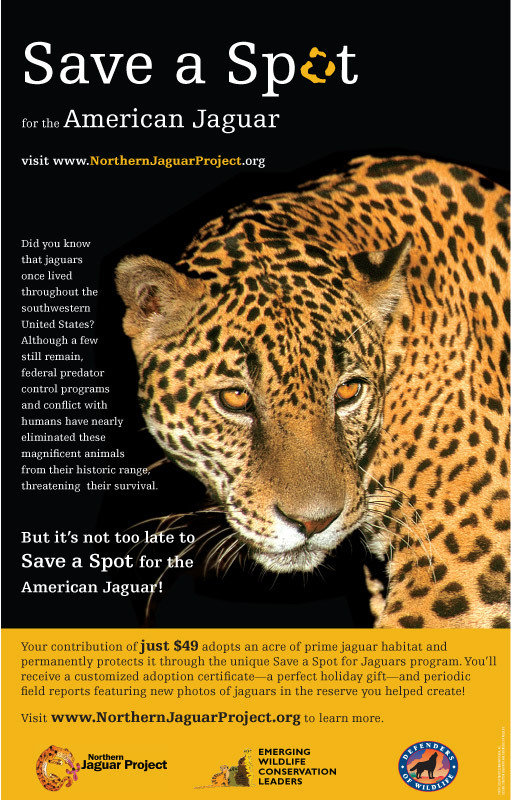 The team created the “Save A Spot” campaign on the NJP website, where the general public could donate $49 to save a “spot” of habitat on the Northern Jaguar Reserve. 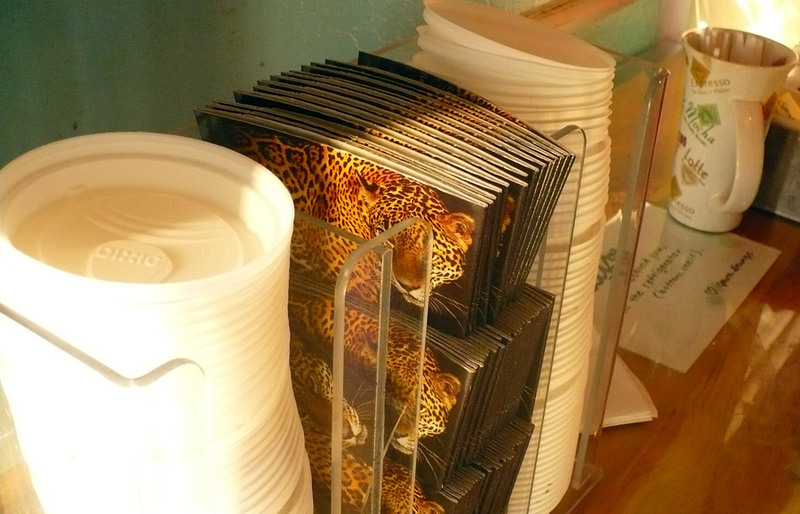 The campaign was promoted to holiday shoppers in the holiday season of 2008 via 130,000 coffee sleeves that were distributed by Brite Vision Media to retail outlets in areas where jaguars historically existed in the United States- Taos and Santa Fe, New Mexico and Tucson, Arizona. Sleeves were also distributed in affluent areas known to be supportive of conservation – the Monterey Peninsula, Marin County, and Palo Alto in California. 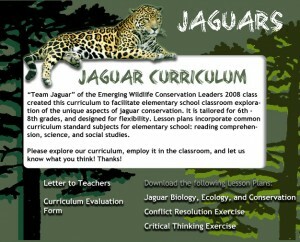 The sleeves featured an attractive jaguar photo, brief information about jaguar conservation, and the URL of the Northern Jaguar Project (NJP) web site, where users could donate money to the campaign. 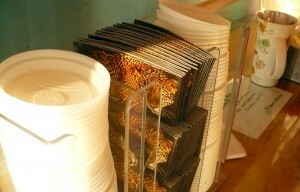 A press release about the campaign was distributed to media outlets in the campaign’s target areas, and members of Team Jaguar traveled to each region, in teams of two, to visit participating cafes, hang up campaign posters, distribute jaguar fact sheets, and talk with café owners and shoppers about the project and encourage them to donate to the campaign. Shoppers who “Saved a Spot” were given an adoption certificate, designed by the team, and a jaguar plush toy. 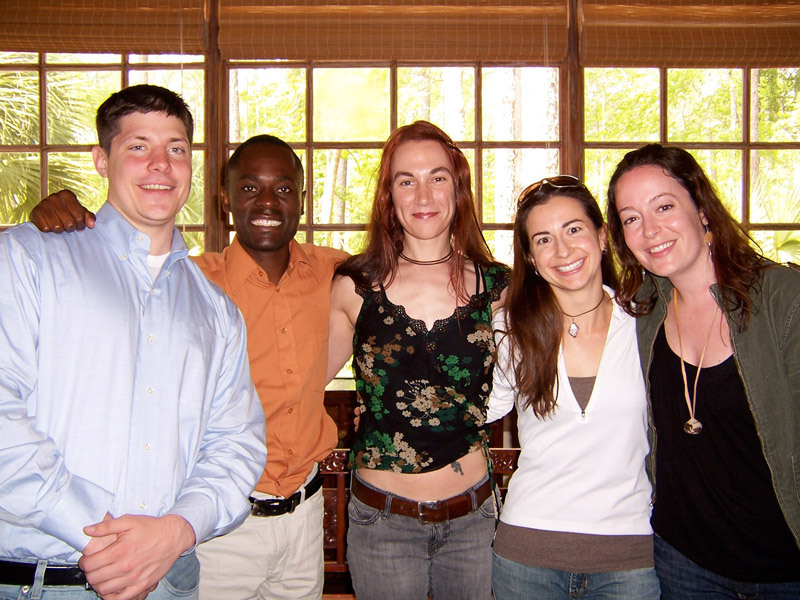 The coffee sleeve campaign raised a total of $5,500 for NJP, and most importantly, was the tipping point in helping secure a $200,000 donation from the Hewlett Packard Foundation. 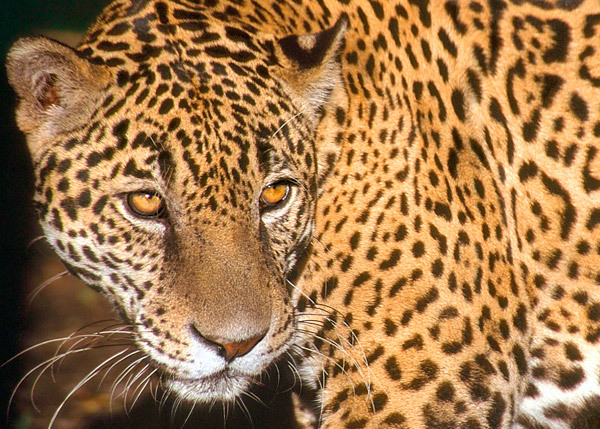 In the spring of 2009, the desired tract of land was purchased, and NJP announced the creation of the Northern Jaguar Reserve.